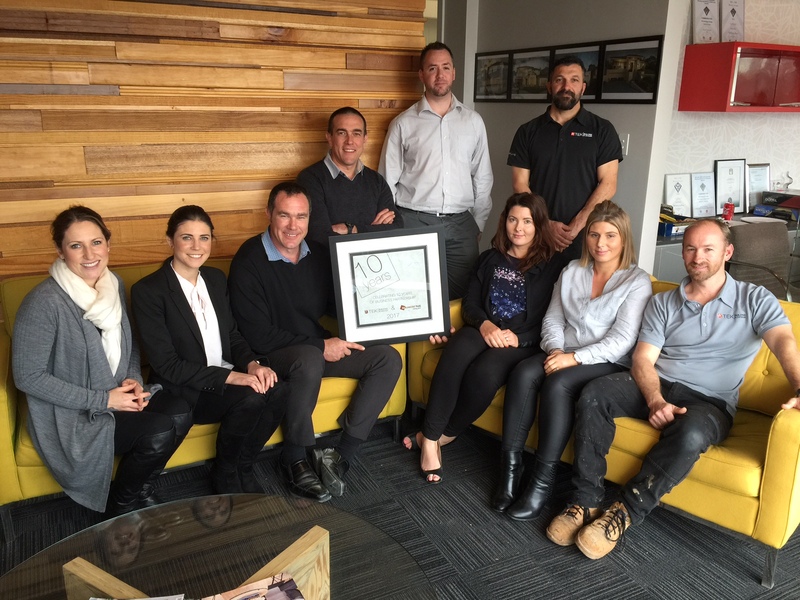 Thank you Natalie Milan and Lee Fantis from Beaumont Tiles for presenting us with an unexpected surprise yesterday! 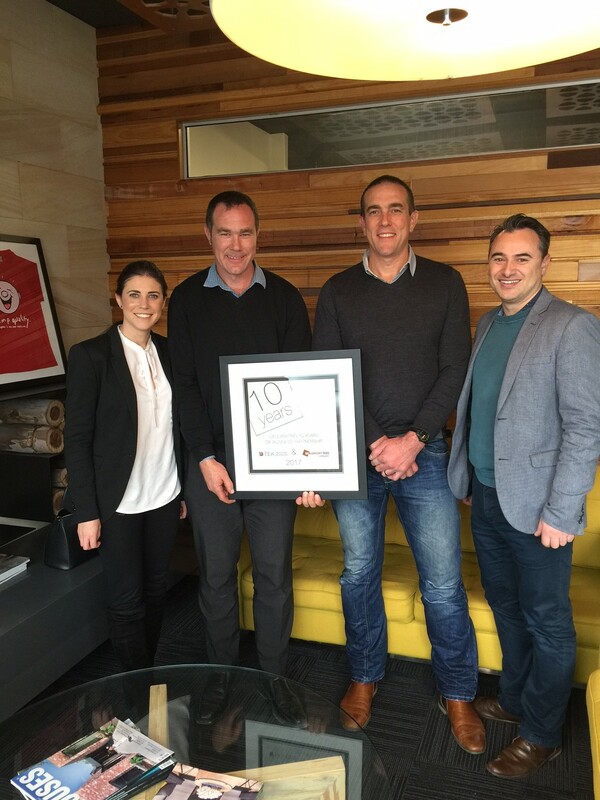 A recognition award for 10 years of business partnership between Beaumont Tiles and TEK Building & Design. Time certainly flies! They were also very thoughtful and bought in a gourmet lunch for the TEK team as well! We continue to be proud partners of Beaumont Tiles and believe that their product and service are second to none. Thanks again guys!